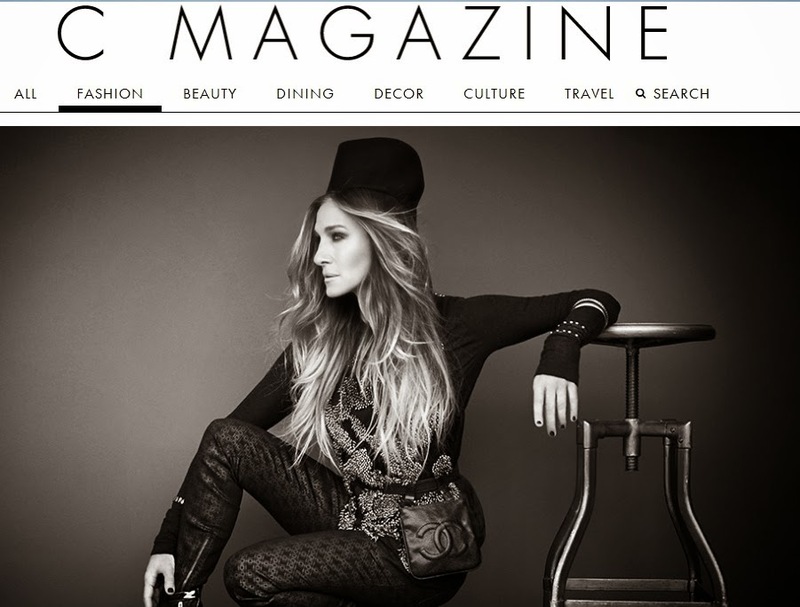 C Magazine's November 2014 issue includes a profile on Sarah Jessica Parker, appropriately titled, SJP. In it, Sarah Jessica wears a pewter beaded embroidered sleeveless tank from Vera Wang's Fall 2014 Ready-to-Wear Collection. Below is a better look at the top she was wearing (this version had sleeves). You may also be interested in seeing Kristen Wiig in Vera Wang on Elle Cover wearing clothing from the Fall 2014 collection. Learn more about SJP here on the Apparel Search fashion blog.